​1) To install a new license on Kaspersky Endpoint Security double click on the Kaspersky “K” icon in you system tray located at the bottom right hand side of the screen near the clock. 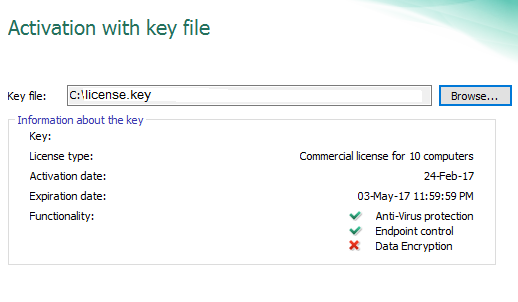 2) In the newly opened Kaspersky window, click the license link. 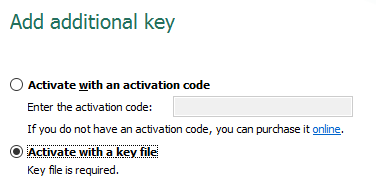 5) Click the browse button and locate your license key file and select the file.